Our Prime Minister’s visit could not have come at a better time - just as this government is preparing itself to take our country forward and to giving our people a better life, Japan will most definitely be a willing corporate partner. Our leaders have visited Japan many times, Prime Minister Sir John Kotalawela visited in 1954, Prime Minister Dudley Senanayake in 1967, Prime Minister Sirimavo Bandaranaike in 1976,(I was serving in Japan then) President J. R. Jayewardene in 1979. He visited Japan for Emperor Hirohito’s funeral. Prime Minister R. Premadasa visited in 1980 and 1985, President Chandrika Bandaranaike Kumaratunga visited in 1996 (I was then Additional Secretary in the Ministry and was a member of the delegation). Significant among visits by Japanese VIPs to Sri Lanka, were the visit of Prince Mikasa in 1956 to attend Buddha Jayanthi celebrations. Prime Minister Kishi Shinsuke visited in 1957. Crown Prince Akihito and Crown Princess visited in 1981 on behalf of Emperor Hirohito. Foreign Minister Kuranari Tadashi visited in 1987 and Prime Minister Toshiki Kaifu visited in 1990. Prince and Princess Akishino visited in November 1992. Japan has never forgotten the role we played in support of Japan at the San Francisco Peace Conference. Sri Lanka was at one time the largest per capita recipient of Japan’s bilateral aid. Along with economic co-operation, Japan has been providing cultural aid to Sri Lanka since 1979. Japanese co-operation programmes to Sri Lanka started in 1954. 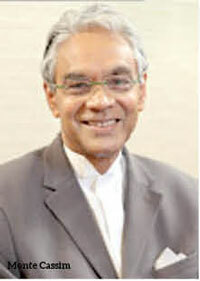 Japan is a major support country to the Asian Region and accounts for 40 per cent of Sri Lanka’s bilateral aid packages. Diplomatic relations between Sri Lanka and Japan were established in 1952, and the Sri Lankan Embassy in Japan was set up in May 1953. 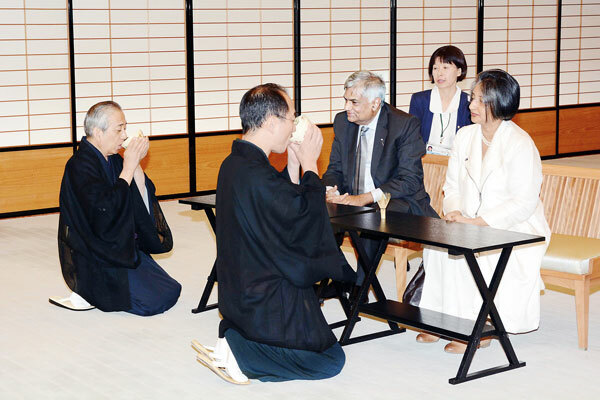 Japan has traditionally maintained friendly relations with Sri Lanka. The economic and technical co-operation between the two nations has grown, but not to expected standards. In the past few years the overall trade transactions have witnessed a small expansion. Growth in exports from Sri Lanka to Japan that reached a high level in 1996 has rapidly decreased over the years whereas imports have continued to increase over the years. In recent years a Japanese garden at Sri Jayawardenapura, was built voluntarily by the people of Sri Lanka and Japan, to promote people to people relations. The garden being a part of the growing need to preserve the environment has been widely supported since it will be a place of learning and enjoyment for the people of Sri Lanka. This would be a landmark in truly bringing together two old friends. Sri Lanka became an aid recipient from Japan from the 1950s and from then on trade and investment linkages between the two countries developed. Japan was the largest aid donor to Sri Lanka until 2007, and was a major contributor to Sri Lanka’s infrastructure development. This led to the transformation of Sri Lanka’s relationship with Japan from aid to trade and then investment. In the year 2000, Sri Lanka was the 8th largest recipient of Japanese aid. Today Japan is Sri Lanka’s 10th largest trading partner and 2nd largest aid donor. The key projects that Japan supported in Sri Lanka were through two major institutions in Japan: JICA (Japan Investment Co-operation Agency) and JBIC (Japan Bank for International Co-operation). The former manages grant aid and technical co-operation, while the latter manages the soft loan components of aid flow. The last noteworthy project with JBIC assistance was the Upper Kotmale Hydro Electric Project. Other key Japanese funded projects included the Colombo Port expansion, parts of Mahaweli Development, Samanalaweva, Kukuleganga Projects, Colombo Airport Aerobridges and Expansion, telecom network expansion and the railway and road rehabilitation projects. Besides infrastructure, Japanese aid has contributed to a number of institutional building projects such as the Sri Jayawardenapura Hospital, (should be renamed the JR Jayawardene Hospital, as it was a gift in recognition of his role at the San Francisco Peace Conference), Peradeniya Teaching Hospital, Medical Research Institute, Institute of Computer Technology at the University of Colombo, Airport Quarantine Centre and Rupavahini Corporation. As a trading partner Japan is still very important despite the emergence of China and India as big powers in Asia. Sri Lanka’s trade with Japan amounted to US$ 1.2 billion a few years ago. Japan is Sri Lanka’s 5th largest source of imports, and its 10th largest export destination. Sri Lanka’s imports from Japan are dominated by vehicles, machinery, electronic goods and audio/camera equipment; while Sri Lanka’s exports to Japan are dominated by tea, fish, rubber products, apparel and textiles, and ceramics. Japan is a tea drinking nation, but it is not a major market for Sri Lankan tea. There is a need to popularize Sri Lankan tea in the Japanese market, and in this context, the Japanese ITOCHU Corporation is planning to make a concerted effort to market Sri Lankan tea in Japan. I am aware of a Japanese Concert Pianist, Chiho Sugiyama / Akaishi, who has fallen in love with Sri Lanka and has been promoting our tea, by having concerts in Japan to promote our tea. There is a high demand for certain fish/sea related products in Japan that Sri Lanka should exploit such as, sea cucumber and tuna. Sri Lanka can also export labour, especially health workers, to cater to the ageing population in Japan. In addition, Sri Lanka was a popular tourist destination for the Japanese in the 1970s but the war stopped it at that time. Japanese tourists have now begun to visit our country and we must ensure that they are treated well, for their numbers could be greatly increased. They are also big spenders. They love our Blue Sapphires. I wish to now get back to the all important issue of attracting Japanese investment into our country. Sadly it must be stated that in the 1960s and 70s we were indeed the preferred destination in Asia but the war and 1983 put a halt to that; we must now have a ‘One Stop Shop’ as was the GCEC (our first Board of Investment of which I was the first Secretary General) if we are to attract investment into this country. In 1982, an Investment Protection Agreement was signed with Japan to facilitate more Japanese investment in Sri Lanka. Four leading Japanese companies — Sony, Sanyo, Marubeni and Bank of Tokyo— were in the pipeline for investment in Sri Lanka in 1983, but soon after the 1983 riots, these companies basically wrote-off Sri Lanka. Thereafter, Sri Lanka attracted only small quantities of Japanese investments. We now need to have Japan back as a major partner for our development; Prime Minister Abe has also embarked on a new outward looking policy and we can plug into that and encourage Japanese investment to feed the expanding Indian market in particular, we must move into Technology based products and this is where Japan can certainly help. We must build a new relationship with Japan. We have in Japan today the only non-Japanese to head a prestigious University in Japan –the Ritzumeikan University near Kyoto, he has now retired but the government of Japan still uses his knowledge and experience in the higher educational field; he is a well known and respected and much liked person, his name is Monte Cassim, I do hope this government makes use of his services; incidentally he is a product of Royal College.